This 10 day tour is priced at only $3,155 per person, nearly all inclusive with five-star accommodations and golf at three beautiful courses. 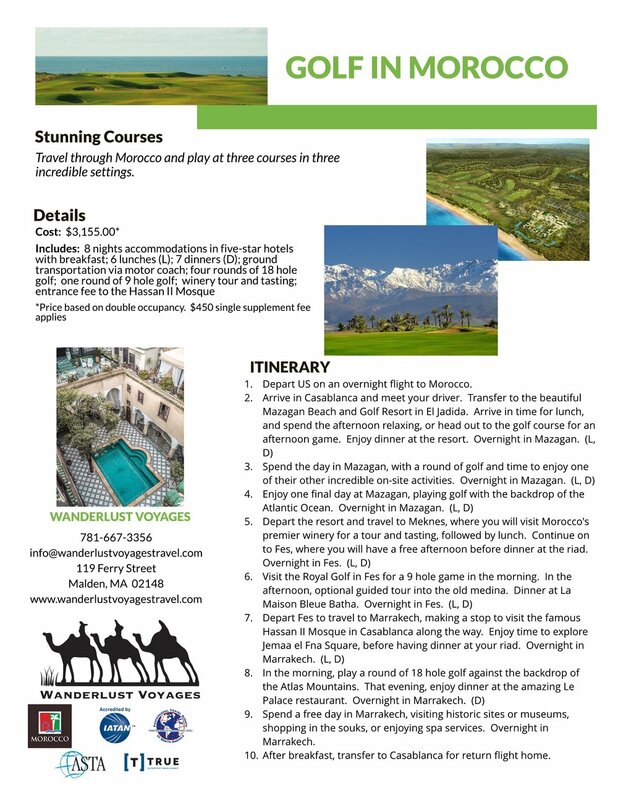 This special package is for 20 people, and includes a spot for a golf pro and a tour leader. Travel must occur between March 15 - May 15, 2019. If you book by November 1, 2018 you will get 12% per person commission, rather than the regular commission rate of 10% per person. Booking requires a deposit of $300 before November 1.